Considering that each film in the original trilogy ends in a spectacular battle between the Imperials and the Rebellion in the air in the depths of space (and one with Ewoks), it would be remiss if we couldn't fly around in an X-Wing with our buddies and waste TIE's. Or maybe you just wanna get that sweet Imperial pension and not get force-choked out, so you suit up and blast the Rebel Scum out of the air with your wingmen. 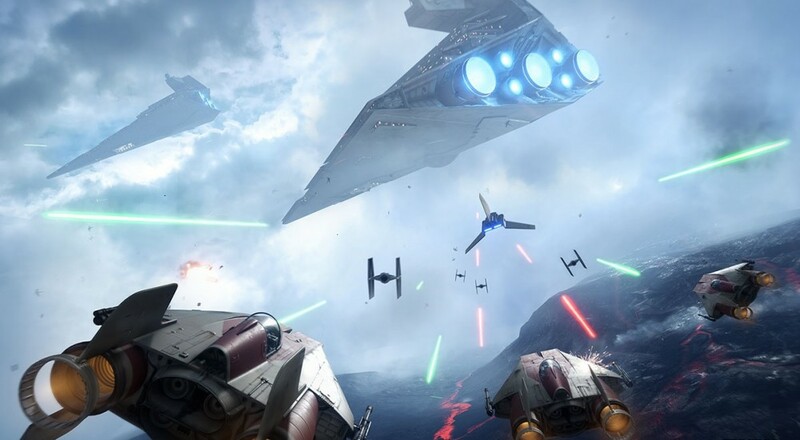 We don't know a whole lot about the Fighter Squadron mode just yet, or even if it will have a dedicated co-op mode. However, they have been very open about there being 20+ AI fighters in the air at once, hinting that perhaps you and some buddies can hop into your preferred ship and blaze into the sky without worrying about any PvP skirmishes breaking out. We'll have more info later on, but the inclusion of this mode definitely adds to my enthusiasm for Battlefront's release later this year. Page created in 0.3997 seconds.